I like to save drinking for special occasions. For times when there is something to be celebrated and a memory created. 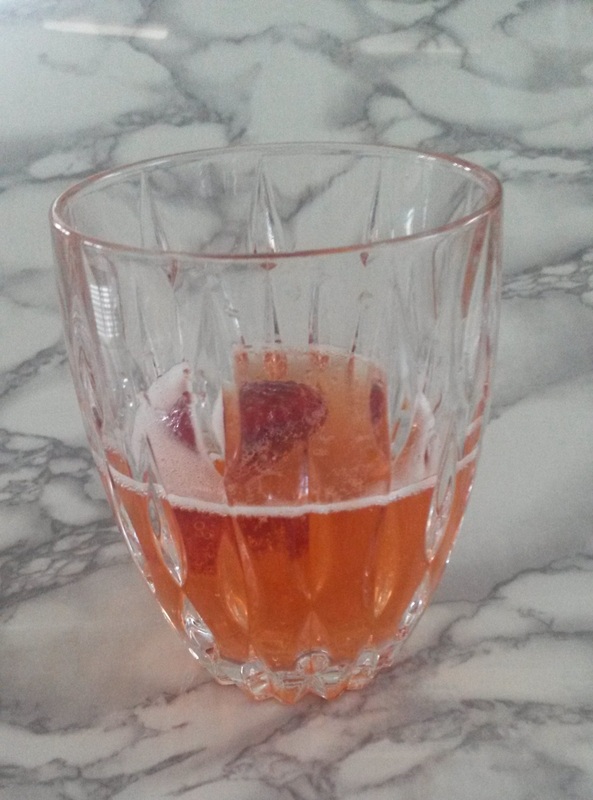 If you can’t get to Melbourne, but still want to celebrate at home, this cocktail is perfect. Pretty, ladylike and delicious. It celebrates not only the occasion but the arrival of this season’s strawberries. You can put these in whatever glass you wish but be warned if wanting to put in champagne glasses – I found the fizz makes it hard to fill the glass with enough drink. Recipe as shown in Delicious Magazine’s “Simply the Best” Cookbook. Combine strawberries, sugar and lemon juice in a heatproof bowl. Cover with foil and place over a saucepan of barely simmering water. Simmer, topping up the saucepan with more water as needed, for one hour or until strawberries are very soft. Pass the strawberry mixture through a fine sieve into a jug – don’t press down on the fruit or the mixture will be cloudy. Discard the solids (see note below). Stir the Frangelico into the strawberry mixture, then chill. 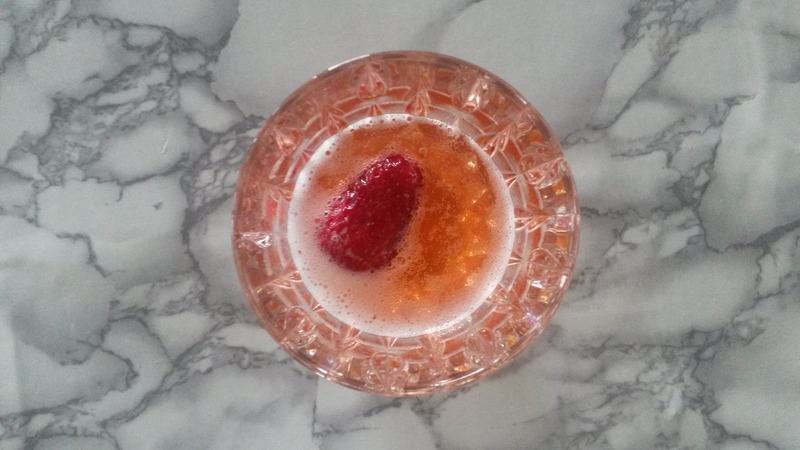 To serve, divide the strawberry mixture among 6 serving glasses and top with sparkling wine. The leftover strawberries can be mashed and used to top porridge, yoghurt or, as I love, on homemade rice pudding.